The battle is far from over. "But we have a reprieve," says H. Chaturvedi, Alternate President of the Education Promotion Society for India, or EPSI, and Director, Birla Institute of Management Technology, of the ongoing fracas with the All India Council for Technical Education, or AICTE. EPSI is a non-profit, autonomous, registered society, which represents stakeholders in education before the government, among other things. AICTE issued a fiat in December 2010, to bring 550-odd B-schools under its purview. The main areas of control included common entrance tests such as CAT/MAT for postgraduate management courses, which would replace other exams. AICTE would decide curricula, and the states would conduct admissions and control fees. This has not gone down well with B-schools: "We have a documented history of 30 years of autonomous MBA programmes," says Chaturvedi. "We made several attempts to meet the AICTE chairman, after which we decided to go to the Supreme Court as it was a matter of national concern." The Court granted an interim stay for 2011/12 admissions, and extended it to 2012/13 admissions, in the absence of a counter-affidavit from AICTE. What triggered such a draconian notification just when the Indian Institutes of Management, or IIMs were moving towards autonomy? AICTE's directive is intended to address the issue of misuse of funds and high capitation fees charged by the institutes. 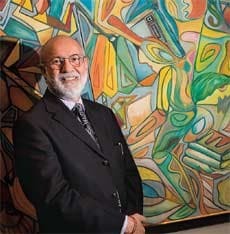 "I am not questioning the role of AICTE, but surely one size cannot fit all," says Pritam Singh, Director General, International Management Institute, or IMI. Even premier institutes such as XLRI have had to struggle because of the attempt to control fly-by-night operators. "You should see the amount of correspondence that we had with the AICTE for one extra student, trying to convince them that this is last year's student... it took nearly a year," says an exasperated Father E. Abraham, Director, XLRI. He also says the institute was fined Rs 50 lakh for increasing the batch size to 120 students: "A team came and visited, and said, 'We will recommend it strongly.' We kept waiting… but the letter never came. We went ahead with admissions, for which we were penalised," he says. K.S. Subramanian, Director, Symbiosis Centre for Management and Human Resource Development, Pune, is in favour of controlling fees. "That is the only way the average Indian will have access to education," he says. "Most B-schools make enough money to sustain themselves and do not need to charge higher fees. Within the current fee structure, B-schools can easily make at least a 20 per cent profit." But not everyone agrees. Vivek Sane, Director, Symbiosis Institute of Business Management, says government bodies need to understand the ground realities of running a B-school. "If an institute runs without government grants and works entirely on a business matrix, and then restrictions are put on it, there are chances that regulations will be disregarded," he adds. Many B-school administrators say AICTE's intervention in designing syllabi is unnecessary. "When I design my syllabus, I go to my alumni, I go to the corporate world, I talk to students, and based on the responses of all these parties, I structure my courses," says Subramanian. "How does the AICTE have the competency to do all this?" The IIMs, meanwhile, have managed to gain a fair degree of independence after nearly a decade's struggle. The Ministry of Human Resource Development has approved amendments to the institutions' memoranda of association with the government. So far, the government influenced the selection of the director through its search committee. But now, the IIM Board will shortlist candidates, and the government will pick one. More importantly, the institutes will no longer need government permission to buy and sell assets, and will be able to generate funds through sponsorship. Most of them are not complaining. "I don't think autonomy is an issue for this institute," says Shekhar Chaudhuri, Director, IIM Calcutta. "The IIMs have enjoyed complete freedom as far as the curriculum and programmes are concerned," says IMI's Singh, who was formerly dean of IIM Bangalore and then the director at IIM Lucknow. Pay scales are an issue, however. Chaudhuri says that if the institutes can recruit faculty members at market-based salaries, they would be in a better position to attract the best. "Given the cost structure, and the environment in our country, I am not very sure if this is possible," he adds. But others question this freedom. "I wonder if they have made full use of the freedom that they have enjoyed in the first place," says a source closely associated with the issue of autonomy. "There is clearly a paucity of research from these places." As the battle lines firm up, it is clear that for now, it is the AICTEgoverned institutes that have a tough road ahead.